But, I had -and still have - a feeling, deep down in my gut, that I do have a vision, I do see that my style and the way I put colors and clothes together is different, that some people out there might be inspired by me. See, I don’t consider hijab to be about fashion, nor is it about being trendy … it’s way deeper than this, it’s a beautiful symbol of what we chose to represent, of our strength to be part of our communities, to prosper, to shine.. hijab doesn’t stop us, it’s basically PART of us, and I want to be able to celebrate the joy of hijab by creating a boutique for the ladies out there so they can just go ahead and do their work comfortably, practically, and by simply being elegant. 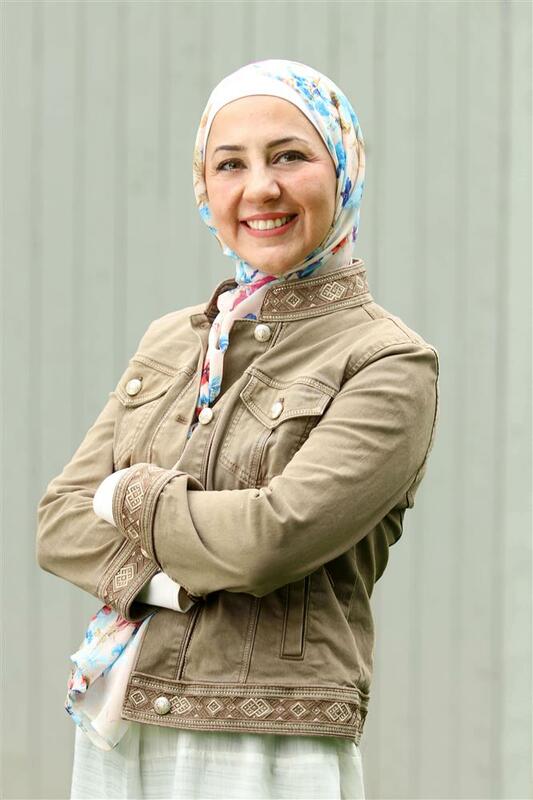 I started to learn more about business, photography, fabrics, colors, retailers and wholesalers, I followed hijabi bloggers and influencers, I learned about marketing, website optimization. There were moments when I felt I’m farthest from my goal, and at other moments, I felt.. well, I’m kinda getting there.. yes, I am! Slowly but surely.. I decided to share this part of my journey with you so we can connect more and to whisper in your ears that if you have any doubts about a decision that you believe would make a difference and would make you and others happy.. Give it a shot.. because not doing so means you didn’t give YOURSELF the possibility of success.. “But, what about failure?”, you might ask.. my dear, failure to me now means failing to believe in myself, it’s not about the business or fame.. success is not measured by accomplishments for these are only embellishments that we all brag about.. to me, success is doing something you love, is giving yourself a chance to grow, is learning what the world has to offer, it’s being genuine to yourself and others.. success is so deep, it’s so human.. Simply put, Hijab is a joy in my life. I feel that it completes me, it reminds me of who I am, who I represent and the values I carry with it. A lot of my customers wonder how to put their clothes, colors and patterns together ...How to look professional without compromising modesty..How to make use of their Hijabs to mix and match their outfits.. and so many other questions that I hope I can answer here. Meanwhile, let’s start with three words that represent Hijab as a Fashion to you. This will give me a better idea of your preferences and what you're looking for. My three words are: Practical, Simple and Elegant.. what are your three words? I’d love to hear your feedback and your own tips & tricks! You can either write your comments under the blog post on linazibdeh.com, or feel free to email me at lina@linazibdeh.com and I will make sure to include your comments in the coming posts. Also, please share with your friends and family! A beautiful combination of sun and skies! Wavy rays on a blue beach! 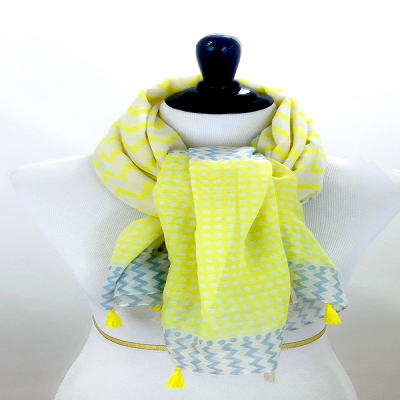 This scarf is all about summer! Also, please don't forget to share with your friends and family!